Who has watched the finale of Season 3??? If you've watched it...comment and make sure to leave your email so we can dish about it! Here's looking at you Laura Elizabeth! 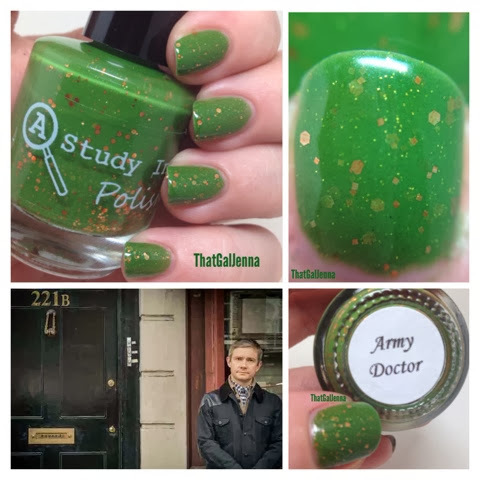 So I've reviewed a Moriarty inspired polish, a Sherlock polish, and to round up the fellas in the show...Dr. Watson. 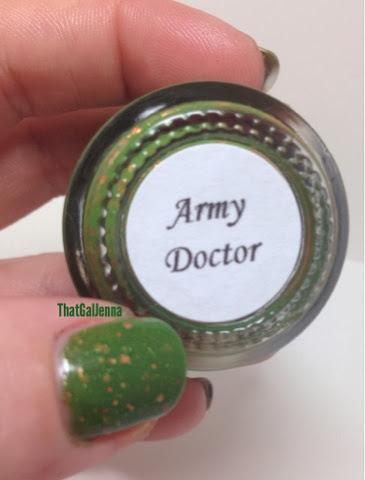 The Army Doctor. 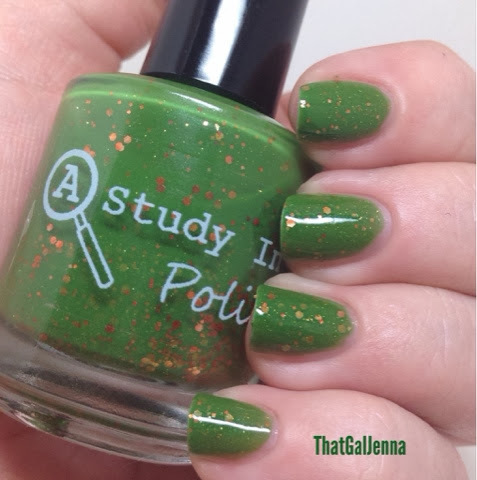 I'm a HUGE fan of green polish. I really am. And this is such a dreamy base color and color combo. I had so so many unexpected compliments on this one. 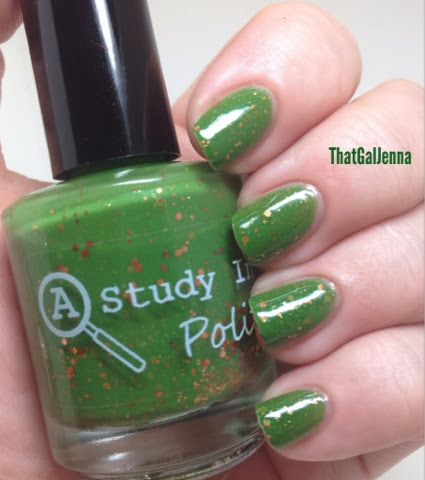 I say unexpected because green is not your typical polish color but the pigment of this green isn't too warm or too cold. It's just right. I know these are both really similar but the one on the left shows the lighter green it can lean and the one on the right shows the deeper green. 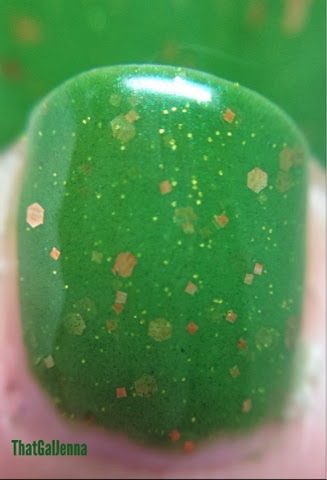 Two coats and it was completely opaque - this is worn completely on it's own with no undie. Polish was completely smooth with the top coat. 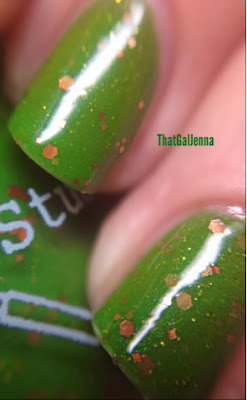 You wouldn't even know there was glitter if you ran your fingers over the top coat. Bright and fierce but not so bright that you'll stop traffic. So I've decided to see this mani series through PAST the finale of this season of Sherlock. Hey why not? 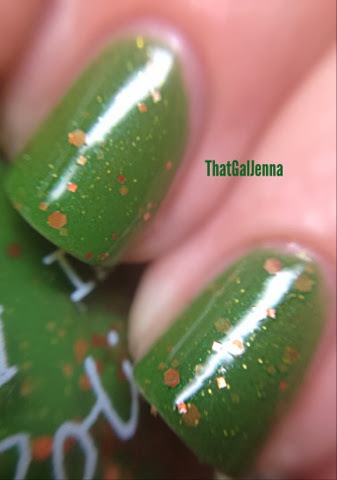 I have 3 or 4 more polishes from this collection and they ALL deserve the spotlight! You guys okay with that? 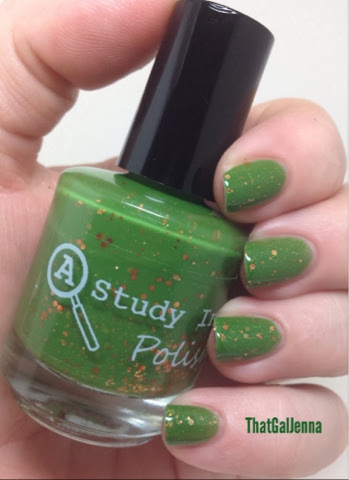 Are you game for more Sherlock inspired polish?? 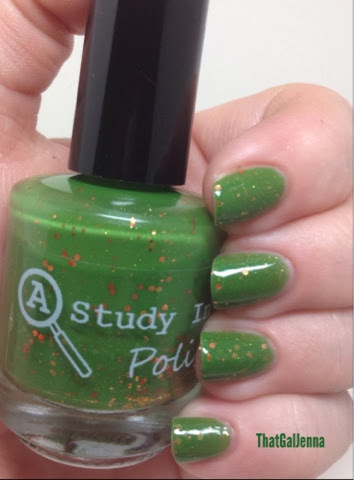 Here is the link again for A Study In Polish...go check out all the pretty polish! 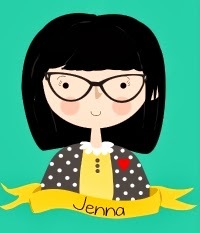 Also...What I Wore is back tomorrow after it was MIA last week!